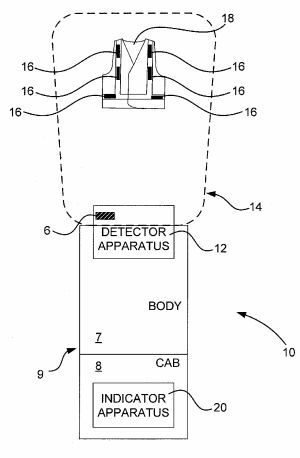 Armour System utilizes RFID (radio frequency identification) to alert the driver of the reversing vehicle that a ground worker is behind them and extra caution is required. Ground workers wearing an Armour equipped Safety Vest and Hard Hat will be detected via the RFID tags discretely installed in the apparel. 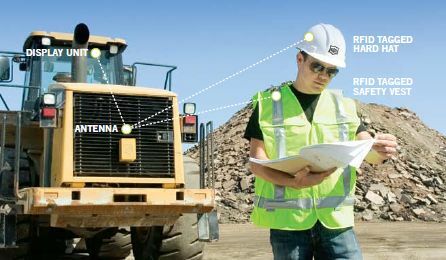 What makes the Armour System™ unique is that any vehicle equipped with an Armour Antenna will detect any ground worker, on any jobsite, wearing an Armour equipped Safety Vest and Hard Hat. Read more. startupip.ca provides information about intellectual property (patents, trademarks, copyright, designs, domain names, trade secrets) for startup ventures. startupip.ca also tracks published patent applications and patents of Canadian startups. visit www.sabetaip.com for more info about protecting your IP.